Musings about the latest happenings in the fields of investor psychology, behavioral finance, and neurofinance. We'll explain what the latest research means for you and your bottom-line. 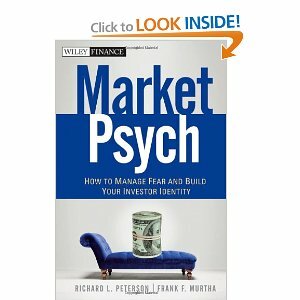 MarketPsych has been busy behind the scenes, and sometimes, in the scenes - as in these recent appearances on Nightly Business Review segment "Your Mind and Your Money" with Tom Hudson and on NPR's Marketplace Money with Tess Vigelund which airs this weekend - in an effort to promote their new book. Lots more to come!